The Leon Wyczółkowski Regional Museum in Bydgoszcz is seeking speakers for the third research conference in the cycle: The Museum – Methods and Means of Presentation, dedicated to exploring the problems that museums face in presenting specific types of collections as well as other related activities. The conference: Art in the Museum. Methods and Means of Presentation primarily targets museum communities involved in the presentation of content related to broadly defined art as part of their activities related to exhibiting, publishing, and education, as well as academic communities concerned with museology (departments of history, study and preservation of historical monuments, and cultural studies). 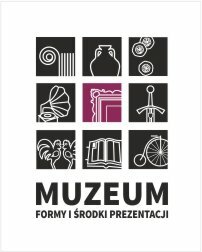 The conference is organized in cooperation with the National Institute for Museums and Public Collections, under the auspices of the Polish National Committee of the International Council of Museums and the Association of Polish Museologists. The honorary patrons of the event are the Ministry of Culture and National Heritage, Marshal of the Kuyavian-Pomeranian Voivodeship (Piotr Całbecki), and the President of Bydgoszcz (Rafał Bruski). The Program Board, consisting of experts from the fields of museology and fine arts, will oversee the content of the conference, serve as an advisory body, and review the contributions submitted. The main objective of the conference is to find an answer to the question: What methods and means should be used to present art-related content in museums?